1) I finally feel a little bit better, thank goodness. Hopefully normal “service” this week and back to one post a day. Thank you so very much for all of your lovely Get Well Soon comments and emails, they really made me smile! I’ve been cooped up in the bedroom for over a week now so it has been nice to feel as though I’ve had some form of contact with the outside world… I managed to haul myself out of bed and into the bath last night, and look who was still intent on guarding me! 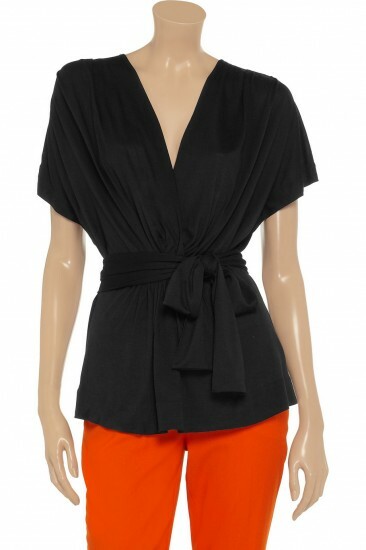 (Above.) 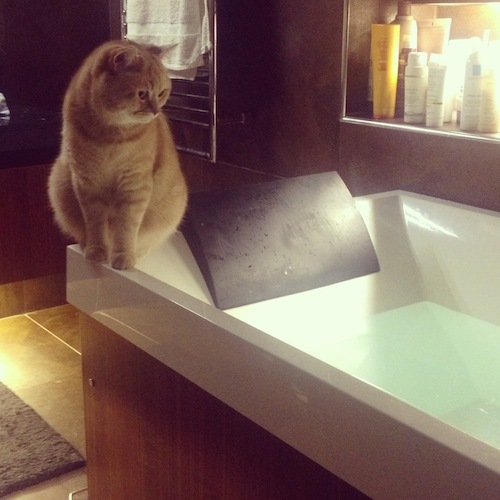 Perilously perched on the very edge of the tub…he’ll fall in one of these days. 2) I read a couple of books this week. The first was Flight Behaviour by Barbara Kingsolver (Amazon) and I wouldn’t recommend it at all. I love Kingsolver’s writing (Poisonwood Bible is one of my favourite novels) but this was a let-down. I found it hard to sympathise with the main character – any of the characters, actually. There just wasn’t enough going on in the book to really get to know anyone – it focused on the migration patterns of Monarch butterflies. I know. 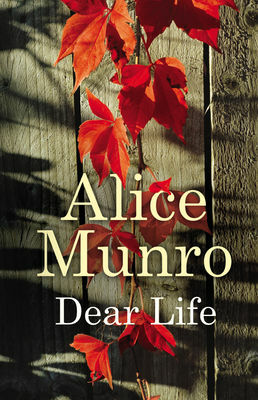 The second book was a collection of short stories by Alice Munro called Dear Life (Amazon). Munro writes utterly gorgeous short stories and if you’re the type of person who likes to dip in and out of books, you might find short stories to be a very satisfying form of writing. There are strong themes running throughout her stories – love, loss, womanhood, childhood – but they never become repetitive. I polished off the whole book of them in a day and am now devouring Too Much Happiness. OK, that’s enough for now. I don’t want to overdo it and also, more importantly, I have very little else to say. You’ve just received my entire week in three bullet points!